I was a Latter-day Saint for thirty years before becoming an Evangelical Christian in 2016. I was a faithful member who magnified his callings, served a mission, married in the temple, and held a temple recommend. I wrote a book defending LDS truth claims and debated Protestants in online forums, podcasts, and a couple of times in public. His comment got me thinking. Where had the idea that the prophets and apostles had not committed major sins come from? Wasn’t that what made repentance so great? 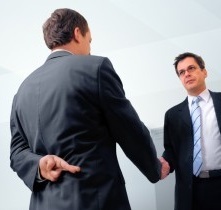 You could be the worst sinner on earth, and repentance could transform you into a great apostle or a prophet. I thought of Alma the younger and the apostle Paul, who had anything but flawless pasts. Yet somehow, the LDS mindset no longer considered that a valid possibility for its leaders. Near the end of my tenure in Mormonism, someone got up to teach a lesson in Elder’s Quorum about Joseph Smith. He started the lesson saying he was going to teach us 15 things about the prophet that we probably didn’t know. My interest piqued. I wondered if he would mention that Joseph had a gun the day he was killed, or that he married other men’s wives. However, as he plunged through the points it became obvious that only good things were being said. Thus the Joseph we were learning about was not a man, but God. Assuming that Joseph really was a prophet, and his mission was to divert attention away from himself to God, I cannot help wondering what he would think about the young man’s comments in college, or the Elder Quorum instructor’s lesson that day. Furthermore, if he was a prophet of God, I cannot imagine any reaction short of humiliation from him at the sound of hymn 27, “Praise to the Man” being sung in church. Doctrine and Covenants 25:12 says: For my soul delighteth in the song of the heart; yea, the song of the righteous is a prayer unto me, and it shall be answered with a blessing upon their heads. In other words, hymns are prayers to God according to the Doctrine and Covenants. So instead of a hymn and an opening prayer, there are actually two opening prayers. One’s just set to music. That’s why I have a problem with hymn 27, and you should too. A song about a man does not qualify as a prayer to God, so every time it is sung in church an opportunity is missed to receive the blessings promised in D&C 25:12. Singing “Praise to the Man” is more than a problem of simple opportunity cost. No matter how you slice it, the song is worshipful in nature, and since Joseph is the subject of the song, the worship goes to him. Consider the fact that if Jesus became the song’s subject instead of Joseph, the lyrics would largely remain true, and would certainly be worshipful. 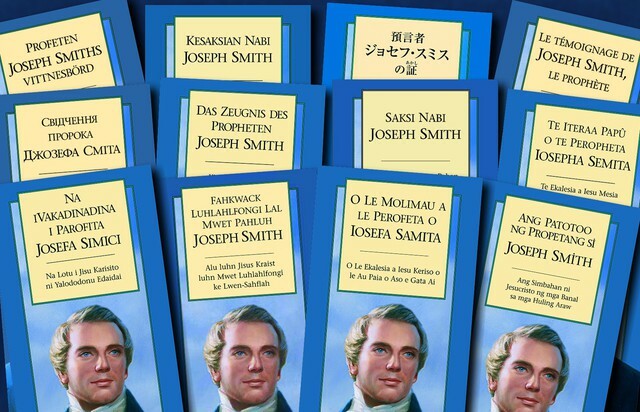 Now you’re probably thinking, “Great, another fallacious argument that Mormons worship Joseph Smith”. However, that’s not quite what I’m saying. To be fair, Mormon don’t typically have Joseph shrines in their houses. I have never heard a Mormon say, “So and so really needs Joseph in their lives,” or “save us, Lord Joseph.” Nor do I consider singing hymn 27 as idolatrous as praying to saints. I plead with you my friends, not to be taken by the subtle culture of prophet worship. When hymn 27 is sung, don’t sing along. In Matthew 6, we are taught that if our eye is single, our whole body will be filled with light. Immediately after, in verse 24 Jesus says no man can serve two masters, “for either he will hate the one and love the other, or he will be devoted to the one and despise the other.” If your praise and your hymns are directed at Joseph Smith, then your eye is not single to the glory of God. 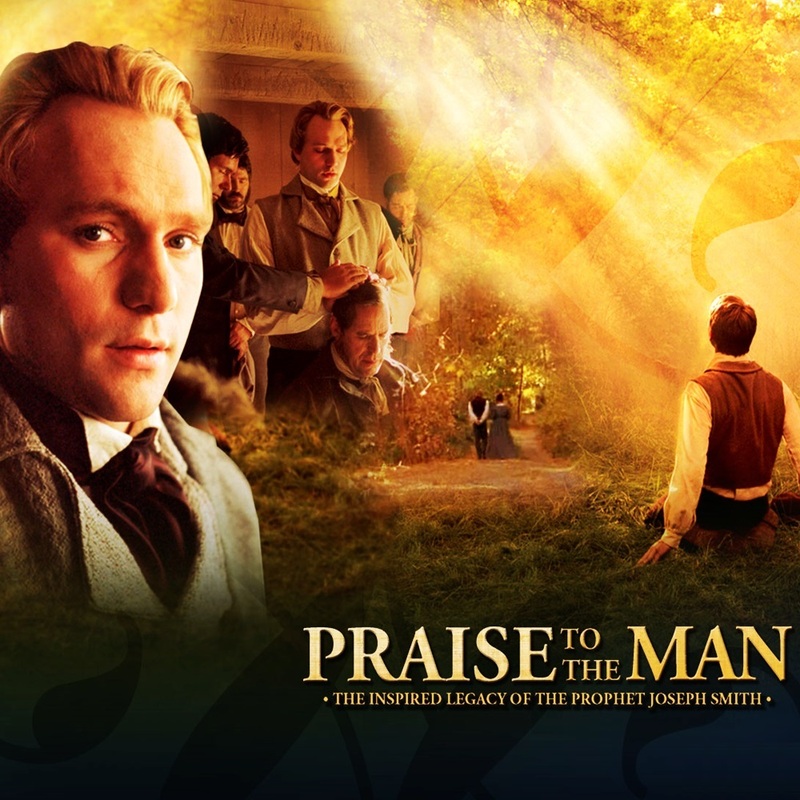 Computer wallpaper promoting the 2005 LDS film, “Praise to the Man”.